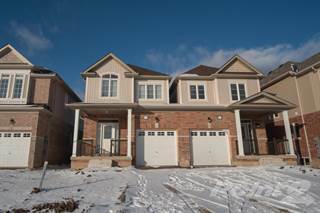 Houses for rent in Windsor, ON are easy to filter and browse through on Point2 Homes. Whether you’re looking for apartments for rent, furnished apartments, condos, single family homes, studio apartments, townhouses or any other rentals, you can get a list of properties based on your needs with just a few clicks. 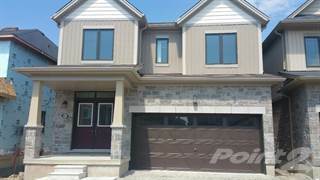 Rental homes in Windsor, ON on Point2 Homes are displayed with important additional information, such as property type, square footage and amenities, and the name and contact information of the real estate agent handling the property. You can also learn whether there have been significant price drops in the rent during the last 6 months. Whether you’re looking for rental apartments or generally homes for rent in Windsor, ON, on Point2 Homes you can tell whether you’re close to the amenities you need at a glance, by using the map view. 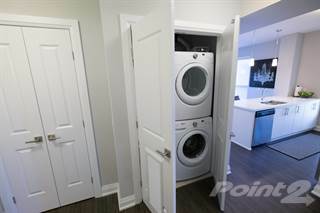 And if you know exactly where you want your apartment to be in Windsor, ON, you can simply use the polygon or radius tools to draw around the area you’re interested in, and Point2 Homes will instantly show you all the rental homes there. How much is rent in Windsor, ON? There are two ways in which you can find apartments for rent based on price on Point2 Homes: you can either set the minimum and maximum price range yourself, or you can simply sort all the available houses for rent based on price, if you want to browse a wider range of rental homes. Once you’ve found a rental you’re interested in, all you have to do to get in touch with the listing agent is check the listing detail page – all the contact information you need will be there. 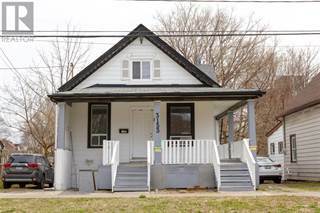 If you’d rather start with expert advice, getting in touch with professional agents in Windsor, ON is very simple on Point2 Homes. Simply go to Tools in the menu and find an agent. 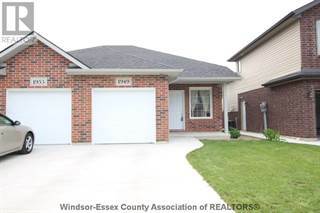 You get a list of featured agents in Windsor, ON, all knowledgeable and eager to help. As the southernmost city in Canada, Windsor sits directly on the Canada/United States border and across the Detroit River from Detroit, Michigan. Covering over 146 square kilometres, the city is home to approximately 220,000 people and is situated near the communities of Leamington, Essex, Kingsville, and South Woodslee. Windsor’s lower housing costs and easily accessible public transportation options make it a family-friendly place to reside. The city’s close proximity to the Canada/United States border provides residents with short travel times to visit one of the United States’ larger cities. Windsor is an affordable place to live, with average house prices ranging from $140,000 to $250,000. With a mix of affordable single-family homes, small commercial spaces, pricey vacant land, and condo options, the city’s northern section provides something for every budget. The central section, close to railway lines and the EC Row Expressway, has many older homes at reasonable prices. Newer development in the area offers larger and more expensive homes, and vacant land is also available. Commercial space includes industrial and retail options. With larger houses and yards, the city’s southern section has some of its more expensive real estate. Vacant lots are common in this section, but condo options and commercial spaces are harder to find. Windsor has a fairly high vacancy rate, ranging from 4% to 6%, although it has been decreasing recently due to higher demand and fewer apartments being built. Smaller buildings tend to have higher vacancy rates in the city, as do older buildings, and the rent costs for these types of buildings reflect their availability. Windsor has affordable rent costs, with averages ranging from $500 for a bachelor apartment to $1,100 for a three-bedroom (or more) apartment. Rent tends to be lowest in the western and central areas of the city, and highest in the eastern areas. Windsor’s unemployment rate range of 5% to 7% is about the same as the national average, although the city has seen a decrease in the rate over the past couple of years. The city’s major industries include education, government services, tourism, and manufacturing. As one of Canada’s largest automobile manufacturing centres, Windsor is home to a minivan assembly plant, several tool and die manufacturers, two engine plants, and several automotive parts manufacturers. The FCA Canada (Chrysler Canada) headquarters is also located in Windsor. Transit Windsor is the city-owned bus company operating in Windsor. It has more than 100 vehicles and 13 bus routes, as well as services to downtown Detroit. About 75% of the buses operated by Transit Windsor are accessible for those with mobility issues or who are using strollers. The transit company’s downtown transit terminal was builtrecently, and the company shares the facility with Greyhound Lines, which also provides transportation for residents (long-distance buses). VIA Rail (train) and the Windsor Airport are other transportation options in the city. The Windsor Sculpture Park is an outdoor sculpture display featuring over 30 large-scale contemporary sculptures from artists around the world. The sculptures depict a variety of themes and styles, and the park’s location along the waterfront makes it especially interesting. The sculptures include a dinosaur, human figures, various animals, and numerous abstract pieces. The park is free and is open year-round. For indoor fun, Adventure Bay Family Water Park offers a wave pool, waterslides, a body surfing ride, a wading pool, a splash pad, a toddler area, and a dry play area. The park also has lounge areas, perfect for taking a rest or for parents who are watching their little ones play. A concession stand provides a convenient dining option, and the venue holds birthday parties and room rentals for large groups. 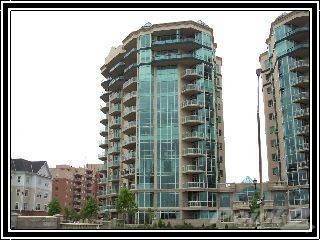 Read more about living in Windsor, ON.